Buffeted by wind and rain, the gentleman in the green overcoat and top hat waved us through the arched entrance to five-star Ashford Castle in Cong, Co. Mayo. As I steered our trusty rental Toyota up the long avenue, past the nine-hole golf course, across a small bridge and up to the door of the castle, I was pretty excited to be visiting this prestigious hotel as a guest of Red Carnation Hotels, along with fellow blogger and travel journalist Tom Weber, The Palladian Traveler. A few weeks ago, we visited Ireland for a very special occasion: the wedding of my son Myles to the lovely Cliodhna; my brand new daughter-in-law. After the family festivities had ended we promptly hit the M6 towards Galway. Heading north towards Cong – where the famous movie, ‘The Quiet Man’ was filmed – we approached a turreted medieval gatehouse on our left. We had arrived! 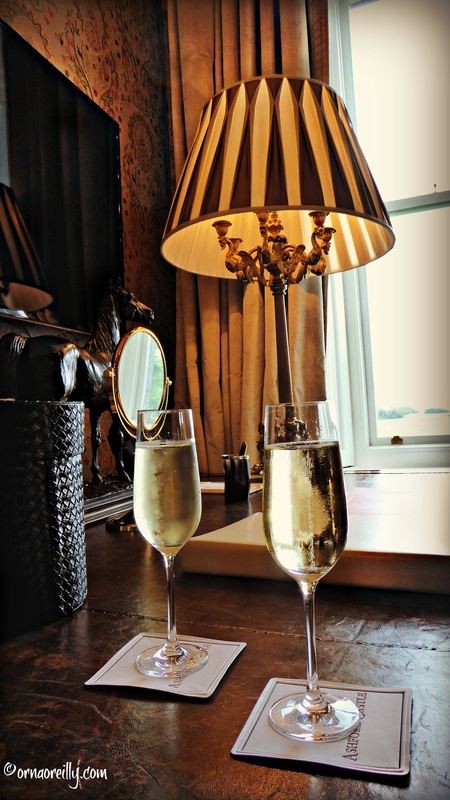 Completely refurbished over the past two years, Ashford Castle was recently voted the number one hotel in the world by Virtuoso, an international network of luxury travel agencies. Apparently, this was the first time for an Irish hotel, so we knew we were in for a great couple of days. Those of you who know The Emerald Isle will testify to the well-worn catch-phrase ‘Four Seasons in One Day,’ so having left Dublin in relatively mild weather, we were fairly unsurprised by the howling wind and horizontal rain that greeted us as we arrived. Another smart, green-clad gentleman met us at the door with an umbrella and we scurried inside. Ultra smart, beautifully groomed young women greeted us in a friendly, efficient manner. All of them were so chatty I was convinced that kissing the Blarney Stone had to be a job requirement and I loved their livery of black tailcoats worn over short black skirts. We were shown to a magnificent state room in the old part of the castle overlooking Lough Corrib, which – at that moment – looked grey, windswept and forbidding. Of course, we immediately did what we do best and gratefully accepted two glasses of prosecco to make ourselves feel properly at home. Ashford Castle was the home of the Guinness family for over one hundred years and this particular stateroom, we were informed, had been the bedroom of Lady Ardilaun herself, wife of Sir Arthur Guinness. I’m not sure what Lady Ardilaun would have made of the handy USB ports beside the bed, but I am sure she would have thoroughly enjoyed the mood lighting and electrically controlled blinds. Our first evening was spent at “Cullen’s at the Cottage,” a dining addendum to the castle for those who like things to be informal. This thatched cottage is nicely decorated in a homely style with boats suspended from the ceiling, polished slate floors and copper jugs on the window sills. It had a cosy atmosphere that evening, with a welcoming fire in the grate, while the cold wind and rain buffeted the windows outside. I chose the South African options on the varied menu. I had not eaten Bobotie for many years, especially not incorporated into a fragrant spring roll – most unusual, I thought – and crisp Peri Peri chicken as my main course. Both equally delicious and beautifully presented with side vegetables. Desert was a heavenly icecream smothered in a crunchy honeycomb sauce. After dinner, we were picked up in a Range Rover by one of the Castle staff, complete with umbrella, so we felt utterly pampered as we headed to the Prince of Wales bar for a cognac to round off our day. After a night spent nestled in the capacious four-poster with its soft pillows, we enjoyed an excellent breakfast in the George V dining room. Service was impeccable with highly trained, friendly and attentive staff hovering discreetly. Our waitresses over the two mornings we breakfasted there were great. Both ladies, who have spent many years working at the castle, were keenly anxious that my pot of tea was strong enough for my Irish taste-buds. It was! 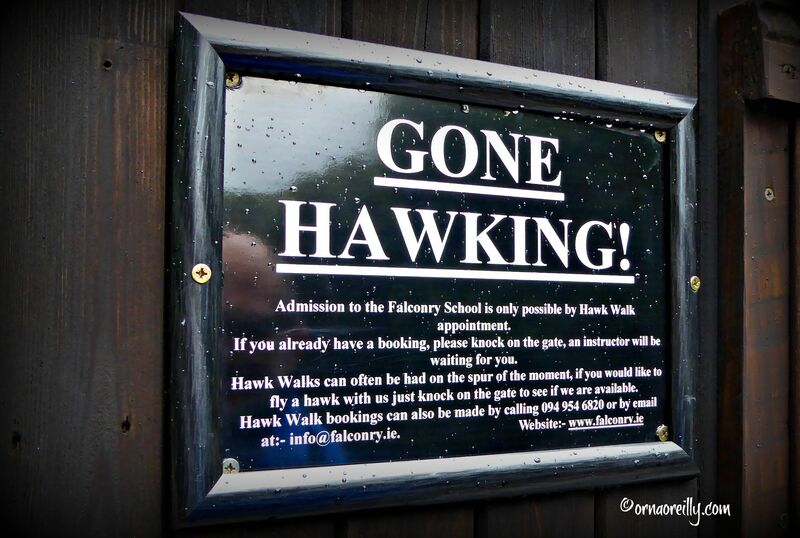 A morning visit to the Falconry had been arranged and we duly reached for our waterproof jackets, heading off to take lots of photographs of the castle exterior and gardens on the way. Though the weather prevented us from proper exploration of the extensive 350 acre estate, we were told that there are two all-weather tennis courts, with an on-site tennis coach, and an equestrian centre on the grounds. There is also fly fishing available, plus water sports, clay pigeon shooting and hiking. 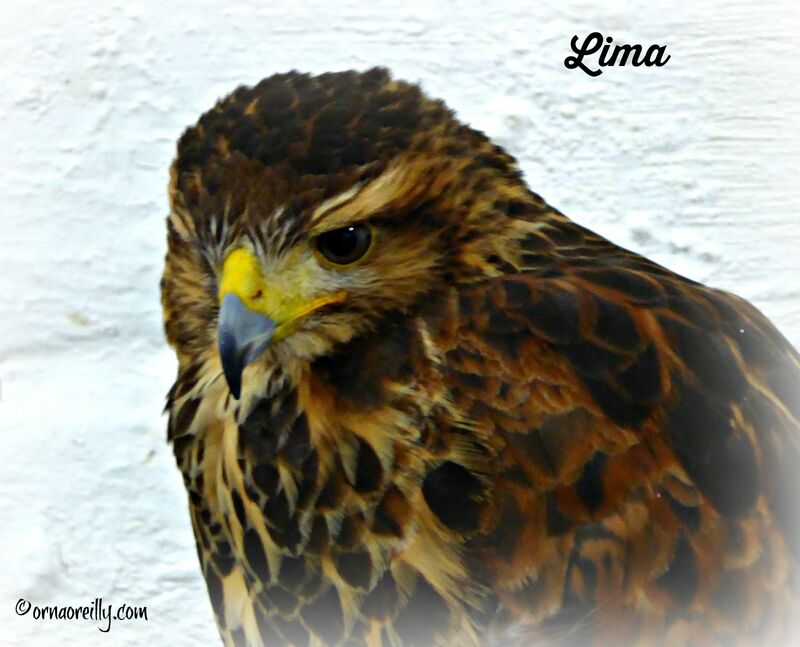 Jamie, a lovely Californian girl, greeted us when we arrived at the Falconry and introduced us to Lima, the intelligent-eyed, Harris Hawk with whom we were to become acquainted over the next hour or so. I was first to don the leather glove onto which Lima attached herself and we set off through the woods. Every now and again, she would fly high in the air and perch on a convenient branch where she would survey the scene. Then Jamie would call out in bird language and Lima would swoop back to stand on my arm again, whereby I would turn over my hand to reveal a tiny sliver of raw meat; her reward for returning when called. Next it was Tom’s turn. With Tom Weber and Lima the Harris’s Hawk. 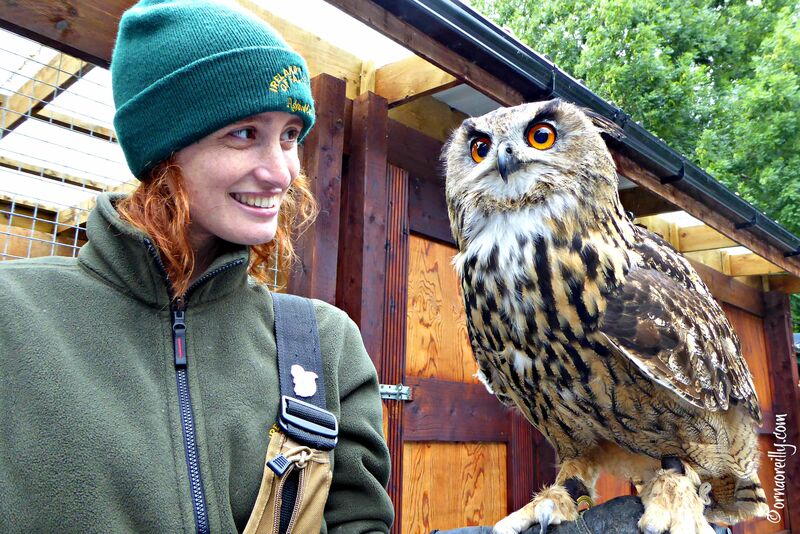 We eventually looped back to the falconry, where Jamie then introduced us to gorgeous Dingle, a Eurasian Eagle Owl with enormous eyes. Bidding farewell to Jamie, Lima and Dingle, we wandered the beautifully tended gardens. We spent a large part of the afternoon being shown around the 82 bedroom castle, newly reopened this year after a phased two year refurbishment. The design team was headed by Beatrice Tollman, the South African founder and president of Red Carnation Hotels, with her daughter Toni and their resident architect Philippe Bonino. The castle now has a 32 seat cinema, a billiard room, cigar terrace, boutique and children’s games room, with a luxury spa and Techno Gym currently under construction, but not yet open at the time of our visit. The entire infrastructure of the castle has been renovated, including windows, roofs and stonework. We were also told that all the original panelling was restored and now conceals 21st century wiring, bringing the building right up to date, while retaining its character. With dinner in the George V dining room on the agenda for that evening, we were dressed to kill as we went downstairs. This dining room is fairly formal and, for a man, a suit or smart sport coat is not out of place – in fact a tie is a requirement. My “LBD” (little black dress, for the uninitiated!) got an airing too. The fact that everyone was smartly turned out added to the ambience of the dining room, where the quiet, efficient service of top-class food and wine was the order of the day. A final post-prandial cognac in the bar was called for as we rounded off our fabulous two night stay at the Castle. Before we left, we met with the General Manager Niall Rochford. 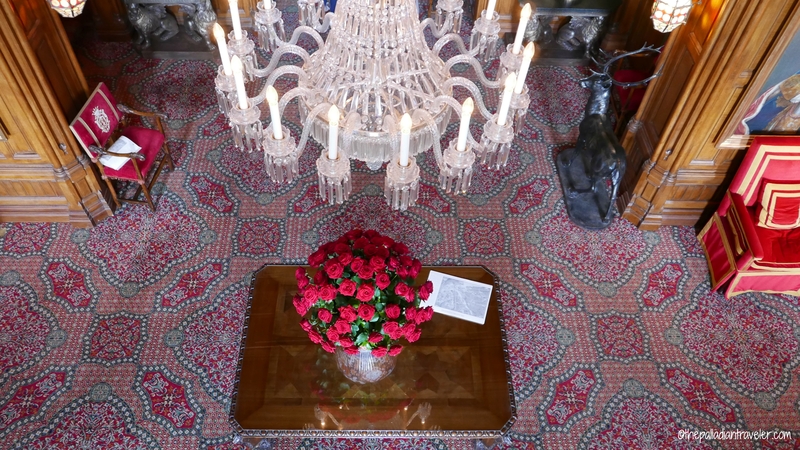 Niall has been managing Ashford Castle for the past fourteen years and – as our rental car was brought to the front door – we said our farewells and drove away, promising to return as soon as possible. 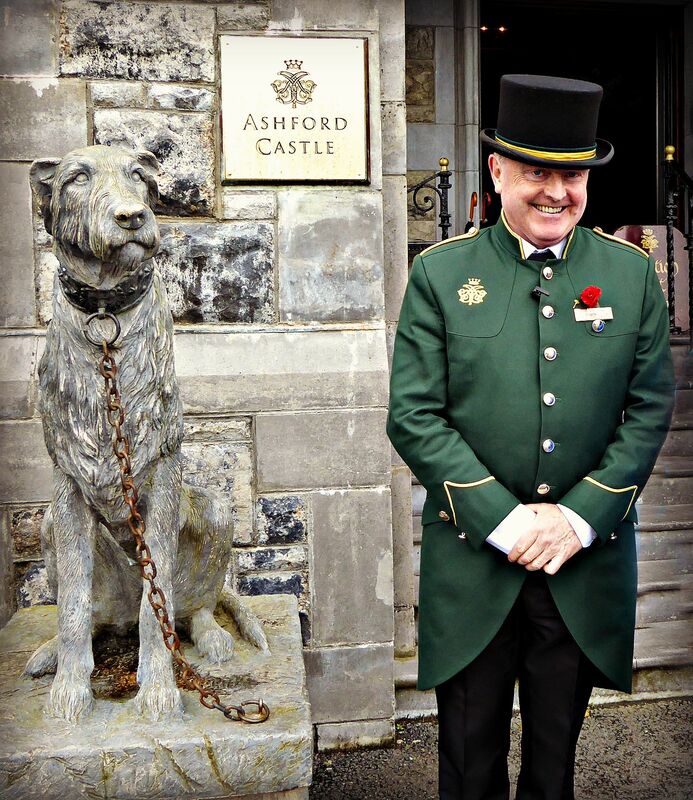 Ashford Castle is a Member of Leading Hotels of the World. 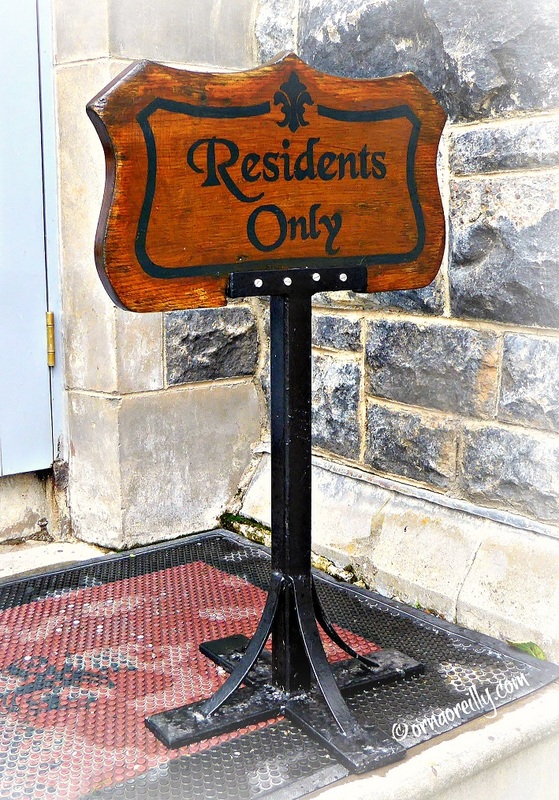 Orna — Outstanding narrative on your take of Ashford Castle and the photos make the article pop. Well done, you! Fabulous article, I always love the way you paint the picture with your style of writing. Beautiful photos! Orna, what a wonderful article! Only you, Orna O’Reilly with your wonderful way with words could do such a brilliant job describing yours and Tom’s two fabulous nights at the magnificent Ashford Castle. .It’s been a while since I visited the castle but after reading your article it;’s certainly on the agenda in the very near future. 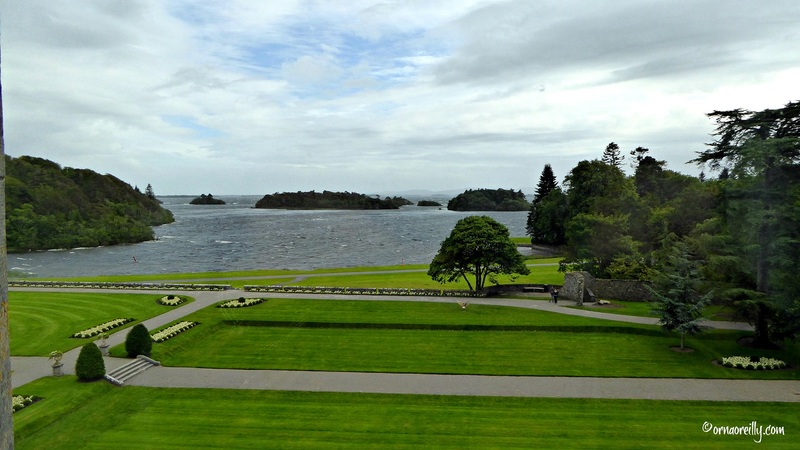 I have no doubt that your article will want a lot of folks to be spoilt at the stunning Ashford castle .Thank you for the beautiful photos, the gardens and the Corrib are a feast for the eyes even in the cloudy Irish weather. .